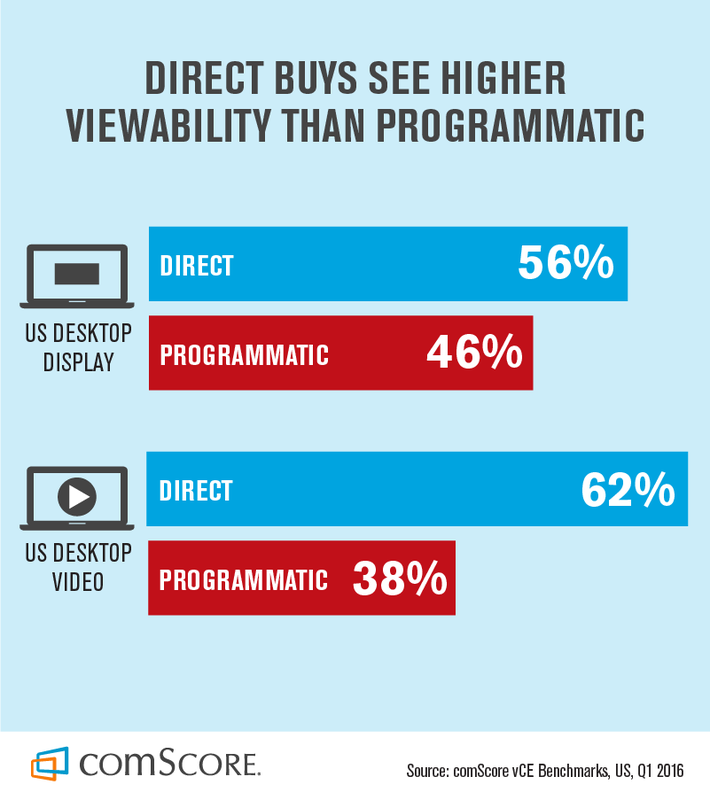 The Study also examined the branding effectiveness of digital display and video ads appearing on Digital Content Next (DCN) member sites. 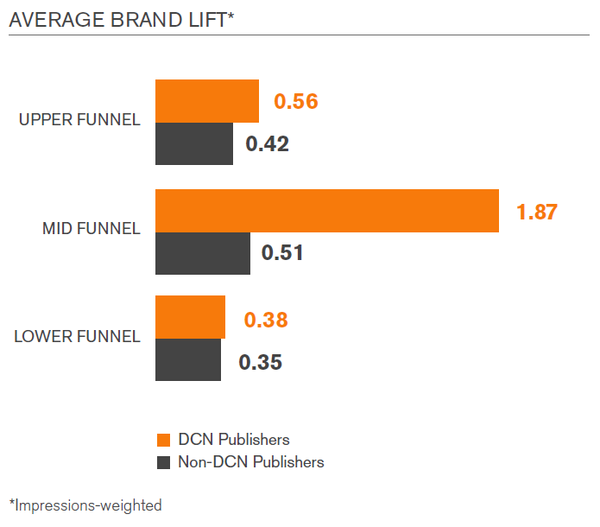 Display and video ads on DCN premium publisher sites had an average of 67% higher brand lift than non-DCN publishers, confirming that premium sites deliver premium performance. Premium publishers are more than 3x more effective in driving mid-funnel brand lift metrics, such as favorability, consideration and intent to recommend. Premium publisher effectiveness is driven in part by higher viewability rates which include lower levels of invalid traffic. 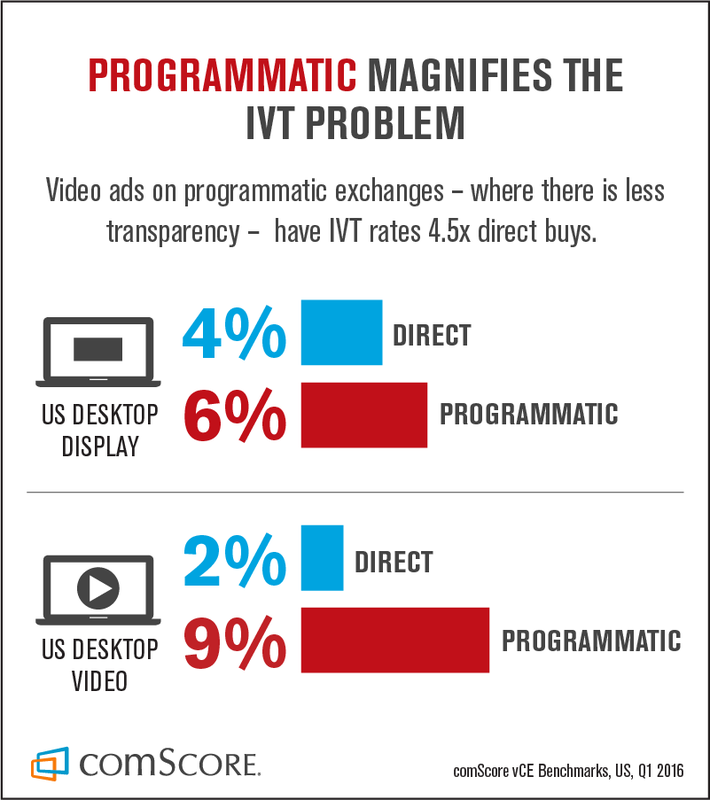 Video ads on Programmatic — where there is less visibility — have 4.5x more IVT rates than Direct Buys!